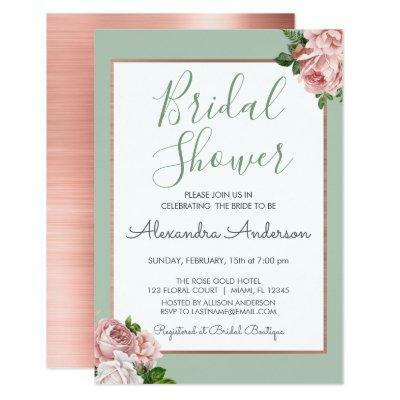 Rose Gold | Blush Pink and Sage Green Floral (Botanical) Roses Bridal Shower Invitation for an Elegant Wedding . This is the perfect Bridal Shower Wedding Invitation for an elegant Spring Rose Gold Faux Foil and Sage Bridal Shower. Please contact the designer for matching customized items.